The most important part of any sale isn’t the close; it’s what happens next. A customer’s satisfaction—and therefore their willingness to renew or upsell—depends on those first few minutes or days after they’ve agreed to give you their business. In fact, according to a Gartner report, customers who have positive experiences are twice as likely to stay loyal than those who had poor experiences. Creating a great first impression can be tricky, however, because sales must gather important documentation like contracts—a process known as booking. Often, sales reps have to send and track this paperwork manually, which can slow everything down. Additionally, sales reps also have to coordinate with other teams like finance and customer success (CS), who will primarily responsible for the customer relationship going forward. This transition is often referred to as the handoff (or kickoff). During both of these stages, there’s a lot of information and documentation (such as contracts, purchase details, and special requests) that must be communicated effectively and accurately. Frequently, most of this information exists only in a CRM like Salesforce, which other teams can’t easily access. To make it more accessible, the sales team often has to manually enter this information into other apps. But manually entering data increases the likelihood of mistakes or miscommunication, and it definitely adds a lot of administrative work to the sales rep’s plate. Automation and integration can help transform the initial customer experience and enable you to make an excellent first impression with any new customer. From streamlining the process of sending contracts to expediting and tracking payments, automation can eliminate manual work and provide you with increased visibility every step of the way. Here are a few ways that you can use Workato to make both booking and the handoff from sales to service more enjoyable for everyone! Before you can officially transition a new customer from sales to CS, you have to make sure that you’ve gathered all of the necessary documentation, including contracts. 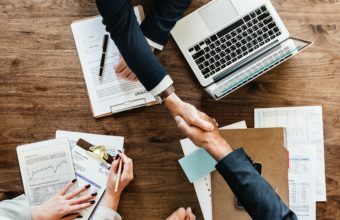 Contracts are many sales reps’ least favorite part of the sales cycle, but you can make them less frustrating and faster with an automated contract deployment workflow. The workflow kicks off when an opportunity is marked as “Closed Won” in Salesforce. Workato will then instruct your eSignature app, like DocuSign, to send the right contract to the customer. With this automation, it’s much easier to send contracts and store signed paperwork correctly. You’ll also know the instant a customer sends back signed documentation, so you can start the handoff process sooner! On the back end, closing a deal is just the beginning of the revenue cycle. Moving forward, you need to make sure that the customer is billed correctly, that invoices are properly logged and signed if necessary, and that your internal finance team has accurate information. Invoicing can be a real challenge because it requires coordination between Salesforce—which houses information about the sale—and your finance app. Automation can help bridge the gap between the two programs. For example, you can create a workflow that begins whenever an opportunity is marked “Closed Won” in Salesforce. From there, Workato can automatically create an invoice in NetSuite. (If the customer doesn’t yet exist in NetSuite, Workato can create that, too.) Then Workato can update the opportunity in your CRM with the invoice number, so that you can see the customer has been billed. You can even set up Slack notifications for invoices, so you can see when they’ve been sent or paid! If your business offers an e-payment option (through a platform such as Stripe or Zuora), you also want to make sure those transactions are captured and reported correctly in other apps like NetSuite and your CRM. Automation can help here, too, by automatically creating payments in your accounting app whenever a customer pays online. A key part of closing a deal is making sure that the customer success (CS) team has all the information they need to start working with the new customer. This is especially important if your company uses account-based customer service, where CS agents are assigned to specific customers and work with them throughout the customer lifecycle. 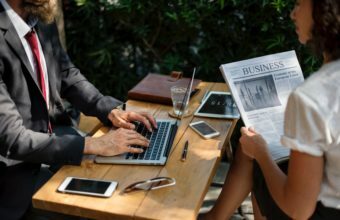 For most businesses, this transition means that essential information (such as which apps the customer uses) must flow from Salesforce over to a project management app like Jira. But moving this information can be tedious and time-consuming, and doing it manually also makes mistakes more likely. To make this handoff easier and reduce manual work, you can use several automations to streamline the process. The workflow starts when a sales rep fills out some fields in their Salesforce opportunity records to create a project for their customer. They enter custom details—like which plan the customer is on and how many hours of each service should be provided. They also fill out an “estimated hours” field, which allows tracking of a CS agent’s workload. Then the automation magic begins: the rep simply has to tick a “Create Jira Project” checkbox inside of Salesforce, and Workato will move all the relevant information into Jira. The entire process happens instantaneously! After the customer’s details are in Jira, a CS rep still needs to be assigned to the account. Workato can also automate this process, assigning new projects to CS reps based on their workloads. 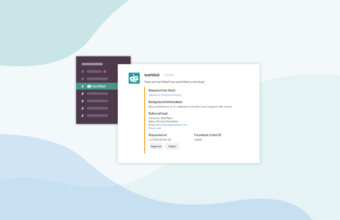 Then Workato can send the CS agent a Slack message saying, “You’ve been assigned to an account” with critical information on the account and a link to the Jira issue. This automated workflow enables you to seamlessly transition a customer from the sales team to CS—without any phone calls, emails, or duplicate data entry. The sales to service handoff doesn’t have to be complicated or unpleasant. It can be simple, straightforward, and quick—if you use the right tools. Automating your sales ops is key to making sure that everyone involved in the customer relationship is kept up-to-date and prepared with accurate information. The less back-end work you do during the handoff process, the more seamless the customer’s experience will be!